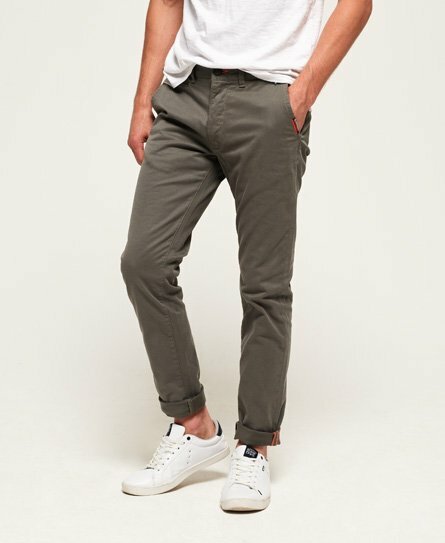 Superdry men’s International slim chino pants. Update your wardrobe with these slim fitting chino pants featuring a zip fly fastening, a five pocket design and belt loops. The International slim chino pants are finished with a Superdry International logo tab on the front pocket and a logo patch above one of the rear pockets.